One Mom's Moxie: Xbox Kinect Wipeout 3 - 3 Day Flash Giveaway!! Xbox Kinect Wipeout 3 - 3 Day Flash Giveaway!! 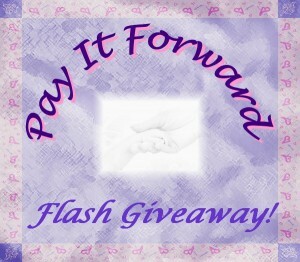 The Pay It Forward Crew is at it again! The flash giveaway is only here for 3 days so don't miss out enter now! We love our fans and we want to pay it forward! Remember, you can't win if you don't enter! My 9 yo son would be the master! Probably my son, he is great at games. Teen Neighbor whose never really had a decent b.day! Trying to make his 19th awesome for him. My 6 year old son for sure! No doubt my 7 year old. He is the video gamer in the house and watches the show religiously. Me! I would have so much fun playing this! Tomboy Tools Review & Giveaway! Fagor Juicer Giveaway!!! Ends 11/18! Monkey Pillowcase Pal 4 Hour Flash Giveaway!!! LG 42" Smart TV Giveaway!